Babcock was Perfect! What an incredible day for the Grinder this year. We had ideal weather, 50 degrees and sunny with a breeze…. The driest trails ever for the race. A light rain the night before knocked the pollen down. New green on the trees and ground flowers. WOW! Add to that a RECORD turnout of runners and walkers and you have something special, huh? With folks coming from MI, IL, VA, OH, TN, NY, NC, IN, KY and a crowd of locals, man I am still reeling from it all! Can you sayEnthusiasm? Well there was plenty to go around I can assure you. From the beginning when we were lining up for the BIG PICTURE to the end of the run and walk, folks were enjoying a beautiful day at the beautiful park. I had to hustle to get to the Skyline Trail overlook to take some pictures and saw some amazing things there. people skipping, jumping up and down, stopping to pull out a camera and take a picture!? I am still laughing at it all- and I hope you are too. I would like to send a big SHOUT OUT also to all our volunteers that pitched in to make it work smoothly… while it was a perfect day for running it was a bit chilly for standing around. We could not have done it without you. Thanks!! So…Thanks for being such a great group of folks and coming out toCelebrate with us. I am already looking forward to next year and hope you are too. If you find yourself craving some “Babcock time” just drop us an email or post on FB…. We will meet you there! Until we meet again…. 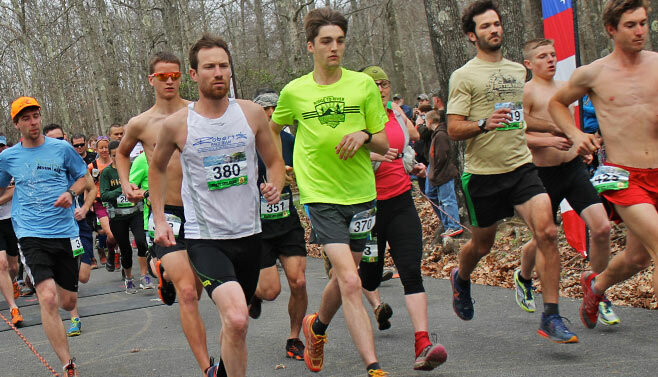 For more information about the West Virginia Mountain Trail Runners organization and series got to www.wvmtr.org.